Donald Trump kicked off the post-midterms era of his presidency on Wednesday by firing Attorney General Jeff Sessions, as part of a not-at-all disguised attempt to quash the ongoing investigation into the Trump campaign by special counsel Robert Mueller. 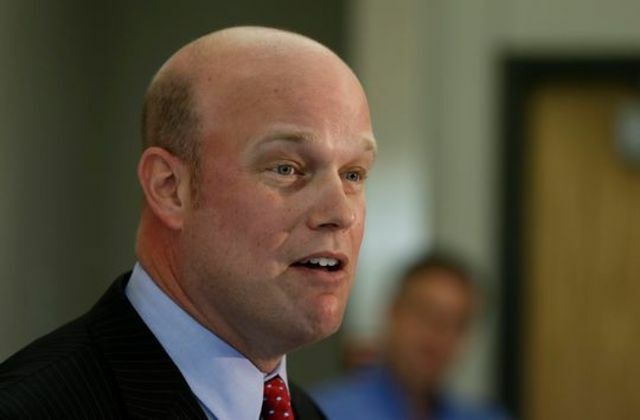 Among his other qualifications for the job, interim replacement Matt Whitaker has said that the probe has "gone too far," and could be easily obstructed if only the Justice Department were controlled by a partisan loyalist willing to choke funds and seal records at the president's direction. Senate Judiciary Committee Ranking Member Dianne Feinstein has also sent letters to top officials in the Trump administration demanding the preservation of all documents and materials related to the special counsel. I cannot believe I'm going to have to march in anger at the fact that racist woodsprite Jeff Sessions lost his job, but here we are. Thousands of protesters are expected to rally in Times Square at 5 p.m. on Thursday, as part of a rapid response demonstration against President Trump's interference. Protest organizers—a coalition that includes MoveOn, Rise and Resist, and PEN America—will demand that the House Judiciary Committee immediately begin hearings into the president for obstruction, and that the Senate establish a "Watergate-type Select Committee" to investigate Trump's ties with Russia. "The timing here is not a coincidence,” said Shannon Stagman, a member of Empire State Indivisible. “Donald Trump acted while we were still embroiled in midterm elections because he wanted to catch us off guard. But we’re always ready to rise up and defend the rule of law." The activists will march down 7th Avenue toward Union Square, where there will be speakers and music from 6:45 p.m. until 8 p.m. Additional protests are in the works for Bayside and Far Rockaway—more info here.